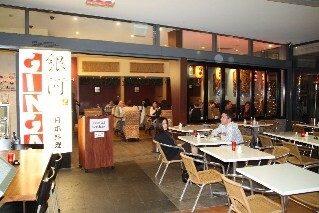 Hanaichi Sushi Bar + Dining (1 review) Level 1 Wintergarden Queen Street Mall Brisbane Ph: (07) 3221 1450. 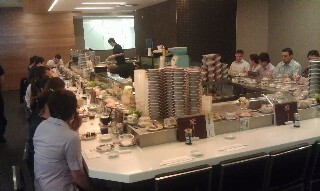 A good quality sushi train restaurant with a good selection of sushi, sashimi and other Japanese cuisine dishes. Open 7 days a week for lunch and dinner. 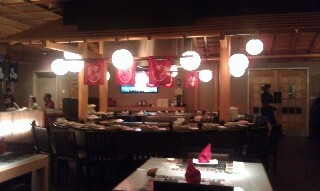 For more photos and restaurant reviews for Hanaichi Sushi bar click here. Kabuki Japanese Restaurant (1 review) Stamford Plaza Hotel Brisbane Cnr Margaret & Edward Streets Brisbane Ph: (07) 3221 1999. Japanese teppanyaki and al a carte dining. Open for lunch Mon - Fri 12 noon - 2.30pm and a la carte dinner Mon - Sat 6pm - 10pm. Teppanyaki open Mon - Thurs from 6pm, Fri and Sat 6pm or 8.15pm. For more photos and restaurant reviews click here. Little Tokyo Japanese Restaurant (1 review) 85 Bowen St (just off Turbot Street) Spring Hill Ph: (07) 3831 7751. Located just a 10-15 minute walk from the Brisbane city centre. Open for dinner 7 nights from 5.30pm. For restaurant reviews for Little Tokyo Japanese Restaurant click here. 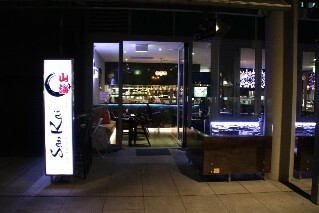 San Kai Japanese Restaurant (1 review) 164 Grey Street South Bank Brisbane Ph: (07) 3161 5978. Open 7 days a week for lunch and dinner. For restaurant reviews for San Kai Japanese Restaurant click here. 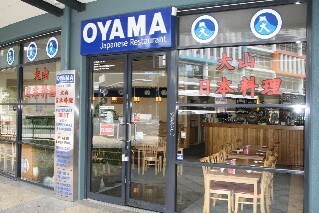 Oyama Japanese Restaurant (reviews) 115 Wickham St Fortitude Valley Ph: (07) 3257 0738. Open Tuesday to Sunday 12pm - 2pm and 6pm - 10pm. For restaurant reviews for Oyama Japanese Restaurant click here. 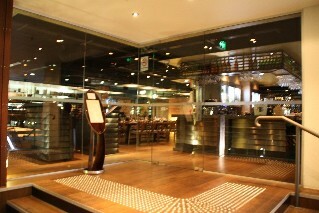 Oshin Japanese Restaurant 19/20 Duncan St Fortitude Valley Ph: (07) 3216 0133. Open for dinner Mon - Sat 6pm - 10.30pm. Mizu Japanese Restaurant 2 Macquarie St Teneriffe Brisbane Ph: (07) 3254 0488. Open 7 days a week 12pm - 2pm and from 6pm to late. Oshin Japanese Restaurant Mains Rd Sunnybank Ph: (07) 3344 6144. Open for lunch and dinner 7 days a week 12pm - 2.30pm and 6pm - 10.30pm. 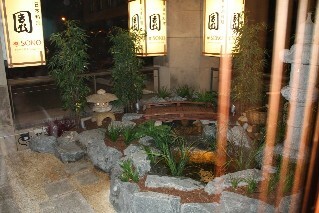 Sono Japanese Restaurant (1 review) Level 1 Tattersals Building Cnr Queen & Edward Sts Brisbane. Ph: (07) 3220 1888. Open for lunch Monday to Friday. Open for dinner Monday to Saturday. Closed Sunday. For restaurant reviews for Sono Japanese Restaurant click here. Oshin Japanese Restaurant (1 review) 1st Floor Koala House Cnr Adelaide St and Creek St Brisbane. Ph: (07) 3229 0410. Open Mon - Fri 11.30am - 2.30pm and 6pm - 9.30pm, Sat 6pm - 9.30pm. For restaurant reviews for Oshin Japanese Restaurant click here. 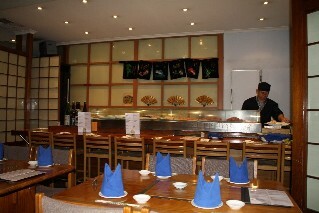 Ginga Japanese Restaurant (1 review) Shop 11 - 12 Little Stanley St Southbank Brisbane Ph: (07) 3846 2313. Open 7 days a week 12pm - 2pm and 6pm - 10pm. For restaurant reviews of Ginga Japanese Restaurant click here. 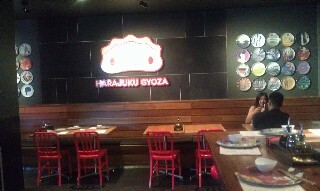 Harajuku Gyoza Japanese Restaurant (1 review) 394 Brunswick Street Fortitude Valley Brisbane Ph: (07) 3852 4624. Open 7 days a week for lunch and dinner from 12 midday to late. For more photos and restaurant reviews for Harajuku Gyoza Japanese Restaurant click here. 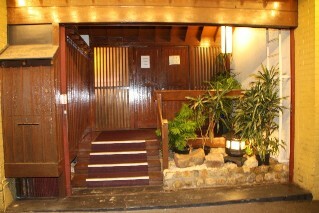 Sakura Japanese Restaurant 9 Gladstone Rd Highgate Hill QLD 4101, located close to South Bank Brisbane. Sono Japanese Restaurant Level 1 Building 7 Portside Wharf 39 Hercules Street Hamilton Ph: (07) 3268 6655.